What’s currently gracing your kitchen walls? In our old house it was vintage alcohol adverts, which I always hated, so, for the new house, and my new dream kitchen, which I promise I will share very soon, it is nearly done, I wanted to do something different, taking inspiration from an illustrated encyclopedia of fruits, vegetables, and herbs that I discovered in a vintage book shop, which I’m still kicking myself for not buying. You see, I knew that I wanted something bright but still with a vintage twist to fit in with the personality of our Grade II listed building, and I had this image in my head of displaying food and drink sketches, I love an illustration. 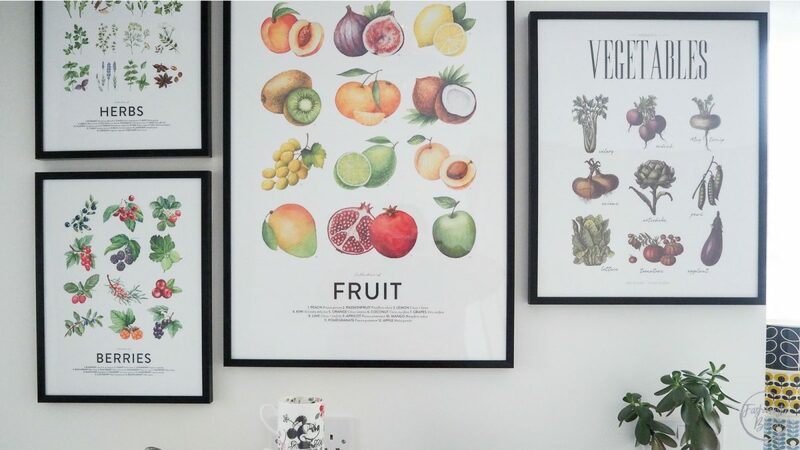 With that in mind, I scoured bookshops to find suitable books to frame some of the pictures without much luck, and then I found these beauties on Desenio, you know the one, the affordable print site packed full of Insta-ready gallery wall inspiration. I knew where I wanted to put them, in the scullery section of the kitchen, as now we don’t have wall units we have this gorgeous space that was prime for a gallery wall and I love how these pictures have come together, they really do look amazing, the colours all work together as do the fonts. What I love about Desenio, other than how affordable the prints are, has to be the amount of options they offer, not only in style, but size, which meant I could make the gallery wall to work perfectly around the central print, the fruit one, which I just thought was the most colourful and eye-catching out of them all. 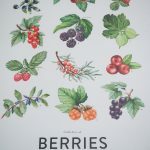 But by adding the Berries, Herbs and Vegetables it really gives a fun, yet homely feel to the kitchen, and adds a nice pop of colour to the white walls. 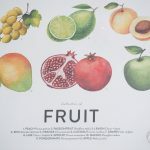 If you are looking for inspiration and not sure what prints you want, Desenio has great sections for all areas of the home and the kitchen section is amazing, and this is where I discovered all my prints. 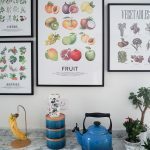 I instantly knew I wanted a gallery wall in the kitchen, it just adds some order to the prints and creates a really nice focal point for the room, but they can seem a little daunting, so I thought I’d share a few tips I discovered creating mine. Just have fun, there is no wrong way to put together a gallery wall, as it is your wall!!! If you want to pick up some prints to transform your walls, whether it’s to style up your kitchen, your lounge or even bedroom, seriously Desenio has so much to choose from, and it’s made even better with my 25% discount code, but be quick its only valid for three days!! The code “fashionistabarbie” gives 25% off posters* at Desenio between December 5-7. *Except for handpicked/collaboration posters and frame. 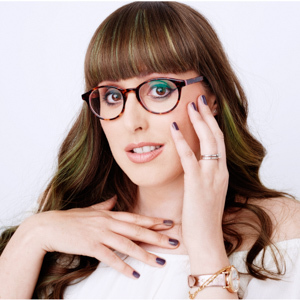 Have you discovered Desenio? What do you think of my affordable kitchen art? 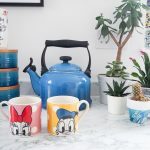 This post was written in collaboration with Desenio but all images and opinions are my own and I chose each and every print that graces my kitchen and love them!